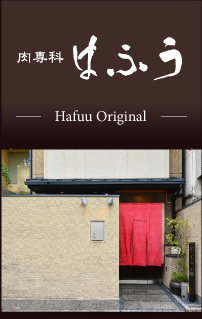 Hafuu Honten(the original) and Hafuu Shogoin(the annex) are locating at just near by Heian Jingu Shrine .Fabulous Wagyu beef steak. 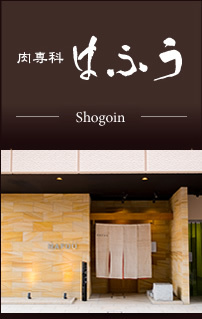 Locating at just near by Kyoto Imperial Palace, also in a quiet residential area, and stay away from the bustle of town.Fabulous Wagyu beef steak! business hours lunch:11:30-13:30 L.O. dinner:17:30-21:30 L.O. Copyright © hafuu All Rights Reserved.